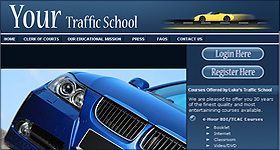 Traffic School Franchise - Presented by Traffic Safety Consultants, Inc.
"USA's Leading Traffic Safety Course Provider for over 3 decades." Join our team! Click below for more info on what's offered in your state. Sorry! TSC , at this time, does not offered our approved curriculum in your state but check back with us shortly... you will be pleasantly surprised. 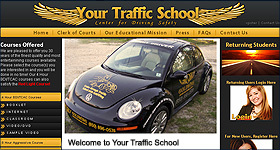 Traffic Safety Consultants is approved in your state to provide its traffic or driving safety courses to affiliates. Please select the link below and it will provide you with tje specific information on all of the driver or traffic education courses that our company offers in your state. As an added convenience, we have listed the affiliate director whom you can call or email for more information on considering becoming a TSC affiliate. For 35 years, TSC goal has been to provide every one of our affiliates with simple to use tools that allow you to run an efficient business. 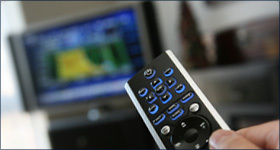 TSC provides you with our custom designed software (tested in house before implementation), entertaining courses incorporating state of the art technology, quality customer service and support, search engine friendly web sites created as part of your initial order at no cost to you, and an attention to detail that will make you smile. We are probably the nation's largest franchise-style traffic and driving school with 150 satisfied customers nationwide. And best of all, there is no upfront costs or franchise fees - just a minimal purchase of one or more of our courses on a low cost, per course basis saving you from intensive start up costs. And unlike franchises, we never restrict territories; charge franchise fees, and requires hours of franchise training since you are an affiliate running your own business-not a franchisee. We succeed when our clients succeed. In most cases, TSC creates, at no cost to you, an appealing website featuring the products you choose to offer or if you prefer TSC can help you easily integrate our courses into your existing website allowing you the flexibility of making the decisions on how you want to run and market your business. 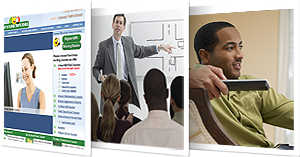 TSC's proprietary, custom-designed Affiliate System Administration Program™ (ASAP™ for short) is an online information management tool designed to allow you to operate your traffic school enterprise with ease and effectiveness. 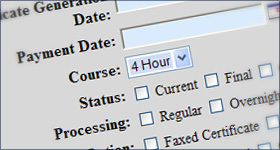 ASAP™ allows you to view and edit student records, track sales performance, report graduations, and order student completion certificates and classroom materials. If you're comfortable browsing the Internet, you'll soon be employing secure, state-of-the-art technology to manage your business more efficiently and more profitably. 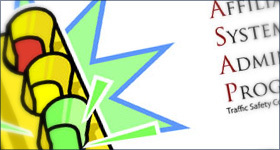 Traffic Safety Consultants, Inc., is one of the nation's largest traffic safety educators, providing a variety of professionally-designed classroom and distance learning (Internet, booklet, and video) products that have been customized for specific purposes and the regional needs of drivers nationwide. Use our product finder above to see which courses are available in your area. Enter your state above to get started! 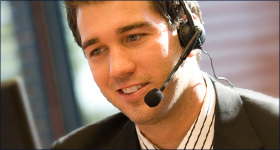 TSC offers the services of our expertly trained staff to provide a full range of call center services days, nights, weekends, and holidays. 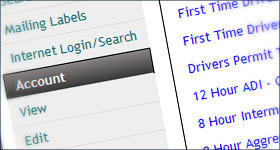 A unique number index for each affiliated company allows our computer system to present custom scripts and applications to call center agents, allowing them to effectively integrate your systems and corporate culture with ours and ensuring that all of your sales and support calls are answered promptly and effectively.